Hyperspec SWIR Gets UAV Wings! Remote sensing with hyperspectral sensors is a combination of several elements: an imaging spectrometer and a fast data processing system to acquire and analyze spectral and spatial data. For remote sensing missions such as crop disease or invasive species detection, the spectral range of most interest is the visible-near-infrared (VNIR) from 400-1000nm. Geologic exploration requires a different spectral region as spectral signatures of interest are evident in the shortwave-infrared (SWIR) range of 900-2500nm. Each type of mineral has its own unique spectral signature reflecting its chemical composition. Since certain minerals reflect light slightly differently, it's important to have many contiguous spectral bands. 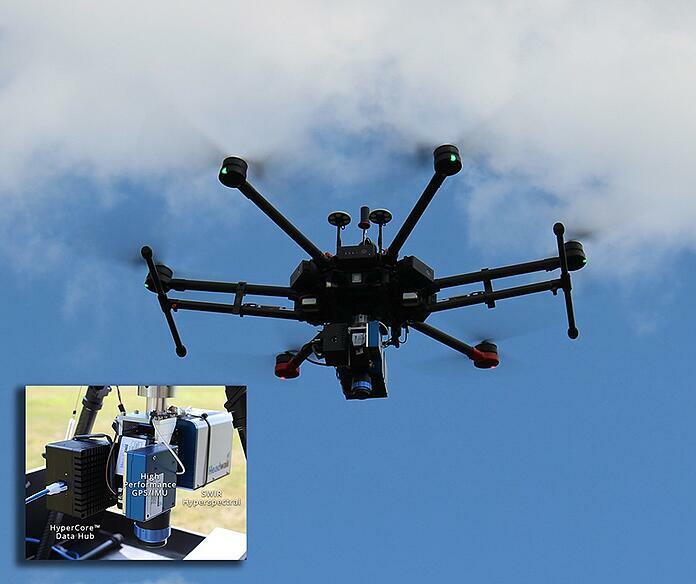 Given the sensor requirements for generating SWIR hyperspectral data, spectral imaging sensor systems require efficient consideration of size, weight, and power requirements for deployment on UAVs. Headwall has worked strategically to 'lightweight' its Hyperspec sensors for field deployment. One of the main design aspects is that Headwall uses an 'all-reflective' approach which allows for a very small instrument size and form factor. The Hyperspec sensors are smaller and lighter but also more robust in airborne situations, particularly for UAV deployment. Headwall's Micro-Hyperspec SWIR is being successfully deployed on the multi-rotor UAVs with excellent stability and imaging results. What's more, the entire payload also includes a high-performance GPS/IMU and Headwall's HyperCore data-fusion hub that synthesizes the data streams coming from complementary instruments. For example, LiDAR can also be integrated to the payload and handled by HyperCore. 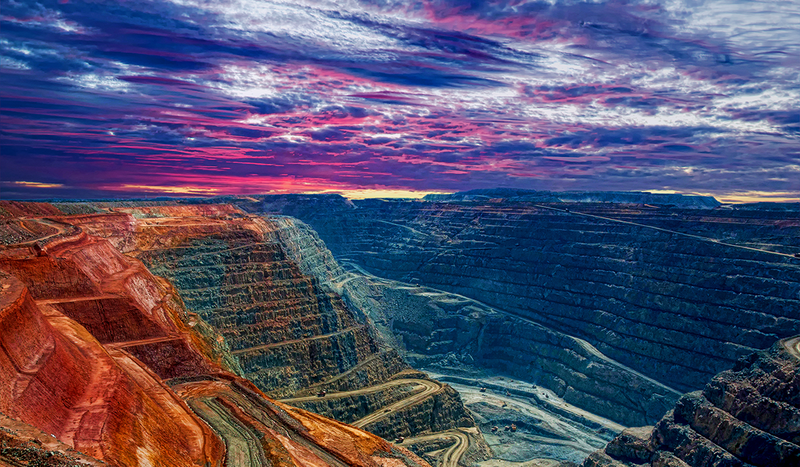 There are several aspects of Headwall’s spectral imaging sensor design that are advantageous for geological research. “When you’re using a UAV, flight time is crucial,” said Peter Clemens, Director of Engineering at Headwall. “Efficiently capturing wide swaths of valuable image data on each flight is therefore a huge advantage.” Headwall has built ortho-rectification into its Hyperspec spectral software allowing users to generate highly accurate geospatial data. “We give our customers the technology to identify not only what they see within the scene but a precise location as to where it is on the ground,” continued Clemens. Headwall has developed solution bundles that package both hardware and software systems necessary so that customers can quickly acquire spectral data but also efficiently process this data and view spectral maps.